Out walking your dog lately and notice all the Pokemon people out and about? 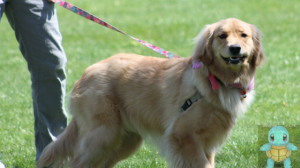 Well it can be challenging to navigate through the crowds of kids (and adults) while walking your dog, here are some tips to help make this craze a little less stressful for you and your pup, and you thougth this post was a joke! 1. You want to make sure you dog doesn’t actually step on one of the Pokemon characters. 2. Be sure to clean up after your dog so Pickachu and his friends are safe from stepping a pile of duty. 3. When approaching the zombi-like humans walking looking down at their phones, let them know you’re coming – my own dog nearly got stepped on countless times in the last few days. 4. While daylight may be new to many Pokemon Go fans – realize their eyes may not have yet adjusted to the bright sunlight and they may not see you or your dog right away. 5. Sudden movements may startle your dog – like the kid who was so excited he got one broke out into a dance stomping his feet – scared the crap out of my dog and me too. 6. Some Pokemon players are bringing their dogs along with them, great! Luckily my dog is super dog friendly, but their dog may not be, so always get their attention (the humans) and ask if your dog can say hello to their dog. 7. Make sure while crossing the street at a crosswalk, give them a wide birth, suddenly no one seems to look both ways or gives you and your dog any room to pass them. Okay, okay – poking some fun at Pokemon – it seems like a fun thing for millennials to do, gets them out, social and forming their own community. It’s nice to see, but really be careful, my dog Cody did get scared by that foot stomping kid and they really are NOT looking where they are walking. Could actually be a great socialization tool for your dog weaving your way in and out of the Pokemon peoples.